Studying Christian history, it’s funny to see the way certain verses take on out-sized significance for how the Bible is read and the faith is interpreted in the tradition. For instance, Etienne Gilson has traced the way a certain “metaphysics of the Exodus” developed around the declaration of the LORD, “I AM who I AM” (Exod. 3:14). In his study of Language for God in Patristic Tradition:Wrestling with Biblical Anthropomorphism, Mark Sheridan shows that the verse, “God is not as man to be deceived nor as the son of man to be threatened” (Numbers 23:19) and an early (mis)rendering Deuteronomy 1:31 (“As a man takes on the manners of his son”) were two of the key texts that shaped and gave rise to ancient Christian methods of interpreting Scripture. Following the tradition of Philo of Alexandria and others, the Fathers had an explicitly theological method for reading Scripture, especially as it pertained to speaking of the ways and works of God in human language in ways “appropriate” and “fitting” to the divine being. This especially concerned the ascription to God of things like human hands, feet, physical activity (anthropomorphism) as well as human emotions like delight, surprise, repentance, or even anger (anthropopathism), which were particularly problematic for the Fathers. Sheridan traces the various Scriptural and philosophical intuitions shaping the Fathers of the early Church from essentially three sources: Greco-Roman reading strategies, Hellenistic Jewish appropriations, and finally, the New Testament texts themselves. First comes the strategy of allegorical interpretations developed by the Hellenistic exegetes in order to save texts like Homer’s Illiad and Odyssey from the moral critiques of the philosophers like Xenophanes, who took aim at the questionable morals and oh-so-human depictions of the gods in such works. Hellenistic Jews like Philo redeployed them in order to read the Old Testament narratives and Law for apologetic and edificatory purposes. Later on, seeing warrant in Pauline and New Testament allegorical and typological readings of the Old Testament, the Fathers drew on the Philonic tradition in order to aid them in their own Christological and moral readings of Scripture. Having established this groundwork, Sheridan examines the way the Fathers treated key problem texts such as the creation narratives, patriarchal misconduct, or even the Divine command in the Conquest of the Holy Land. 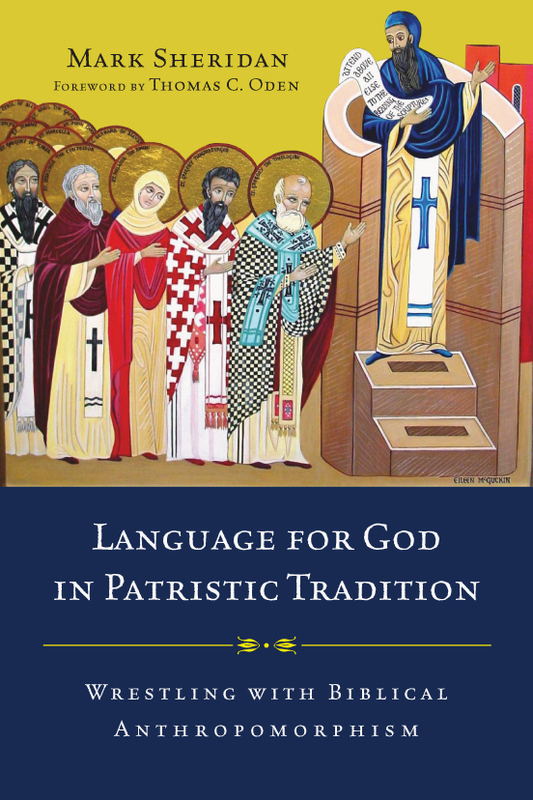 He also devotes a lengthy chapter to patristic interpretation of the Psalms, both for their anthropopathic and anthropomorphic language, as well as their morally compromising character in the imprecatory language. Finally, he ends with some comparisons between modern and ancient strategies for reading Scripture, and a very helpful, summary appendix on the theological structures and presuppositions to patristic interpretation. In a sense, it sort of sums up the work as a whole. First of all, some positives. The book is clean, clear, and well-researched. Sheridan’s obviously an expert and he’s done a marvelous job setting out his theses from the primary sources, focusing on some of the key patristic figures such as Chrysostom, Augustine, and especially Origen. Second, his commentary is uncluttered, to the point, and informative. Next, Sheridan’s great at not simply focusing on the shape of the reading strategies, nor simply doing history for antiquarian interest. He cuts to the heart of the theological issues involved by returning to the question that concerned the Fathers which still concerns us today: what are we to say about God in light of the Scriptures? What is fitting to ascribe to him? These are not easy questions to answer but Sheridan helpfully makes available patristic perspectives that could prove fruitful for current generations to adopt, redeploy, or at least consider as they do their own wrestling with the text, as every generation must do afresh. On the negative side, I had a couple complaints. First, I found it a bit odd that while the Fathers’ concern with how to treat ascriptions of anger or violence to the Godhead seems to be a special concern, there is no treatment of one of the clearest texts on the matter, Lactantius’ De Ira Dei (On the Anger of God). You can’t treat everything, but that text also might undermine the fairly consistent portrait of the Fathers’ handling of the issue. Second, Sheridan’s own theological interests come out towards the end chapters comparing Ancient and Modern strategies for reading the Bible, especially with respect to texts like the moral failures of the patriarchal narratives, or the conquest narratives, judgment, and so forth. He’s fairly critical of the modern, “literalist” approaches, clearly favoring ancient and, to be honest, rather moralizing interpretations. That said, he gives a fairly thin theological argument in favor of his preference beyond descriptively and unsympathetically explaining modern approaches and saying something like, “that doesn’t seem like enough does it?” Rarely does he theologically argue against modern concern for issues of historicity, sensitivity to genre, and so forth. In general, though, I came away both more appreciative and critical of the Fathers’ interpretive efforts. Their theological concerns are not always our theological concerns, nor are their prejudices our prejudices. When reading Genesis, we’re not typically afraid that our hearers will think God has actual, physical hands he’s shaping Adam with. We’re worried about evolution and science, while the Fathers were worried about a fall back into the mythology their hearers had just come from, and so rightly aim to highlight God’s distinction from the gods they knew. This is corrective and instructive. Popular preaching in many churches isn’t as concerned as it might be that people draw the wrong impression from the anthropopathic portrayals of God’s ways with us. We fail to consider what it means that “God is not a man.” What’s more, for those interested in Christ-centered preaching, some of the Christological readings Sheridan draws our attention to are simply fantastic. Chrysostom, in particular, comes out shining like a star. Origen, as well, rose in my admittedly prejudiced estimation. All the same, though I’m quite allergic to modernist, chronological snobbery, I simultaneously came away more appreciative of some of the advances of in modern hermeneutics by comparison. We simply can’t do the same kind etymological theology that was common at the time. Taking seriously historical context, comparative religious backgrounds, and more sober philological work has curbed our tendency to seek out “hidden meanings” often divorced from the literal sense of the text (which not all Fathers did!). And this is a good thing. I don’t think turning the story of Hagar and Sarah into an allegory of moving from the study of logic and rhetoric to the deeper study of philosophy is an adequate reading of the text, as some of the Fathers did. Nor, for all their problems, do I think turning the conquest narratives into a treatment of the conquest of the vices of the soul a reading that respects the texts as the historical narratives as they were given to us. In sum, the Fathers were careful, sensitive, educated, and time-bound interpreters of Scripture, whose readings and ways of reading are worth our time and attention. They are our spiritual and theological Fathers worthy of our respect, consideration, and apprenticeship, though not our slavish imitation.